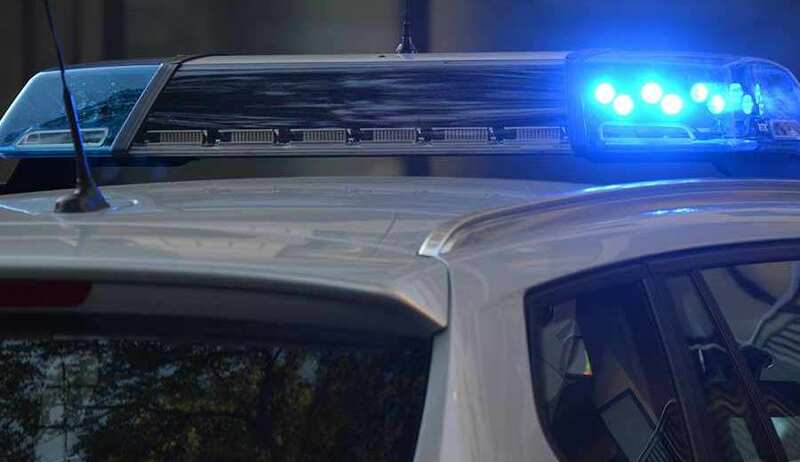 The crossover in members between military and law enforcement units has brought with it a crossover in traditions and practices. 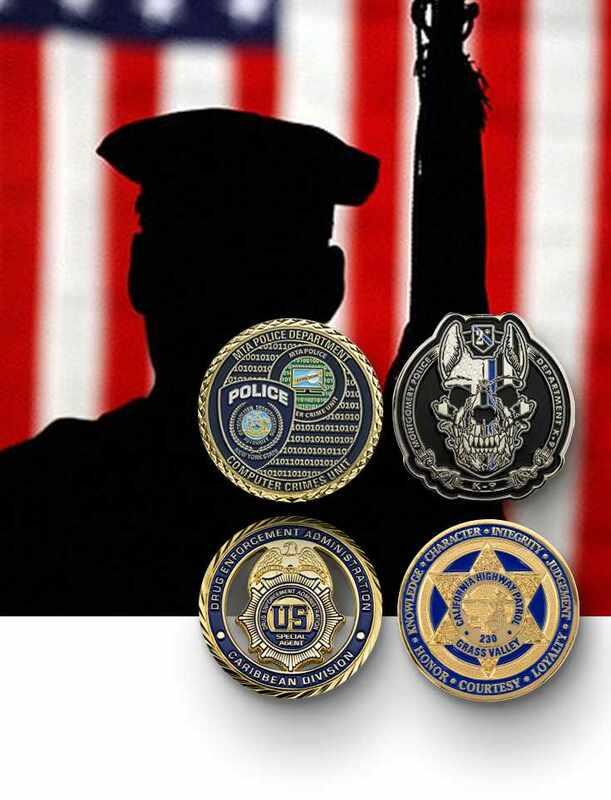 Originally a tradition exclusive to the armed forces, the creation and awarding of challenge coins has grown popular with both domestic and international law enforcement departments. 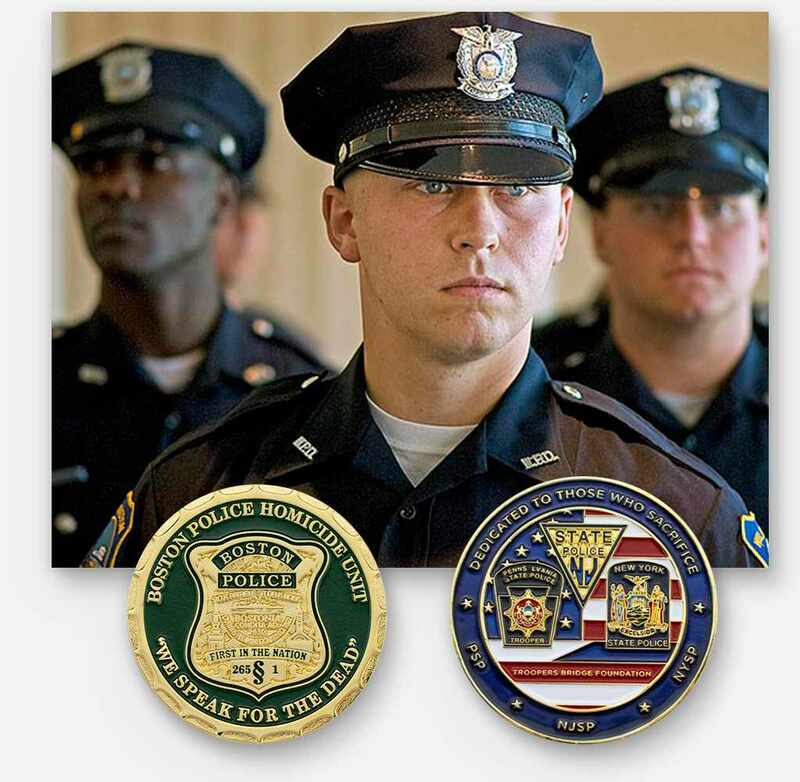 At Signature Coins, we respect and value all of those who “Protect and Serve”. 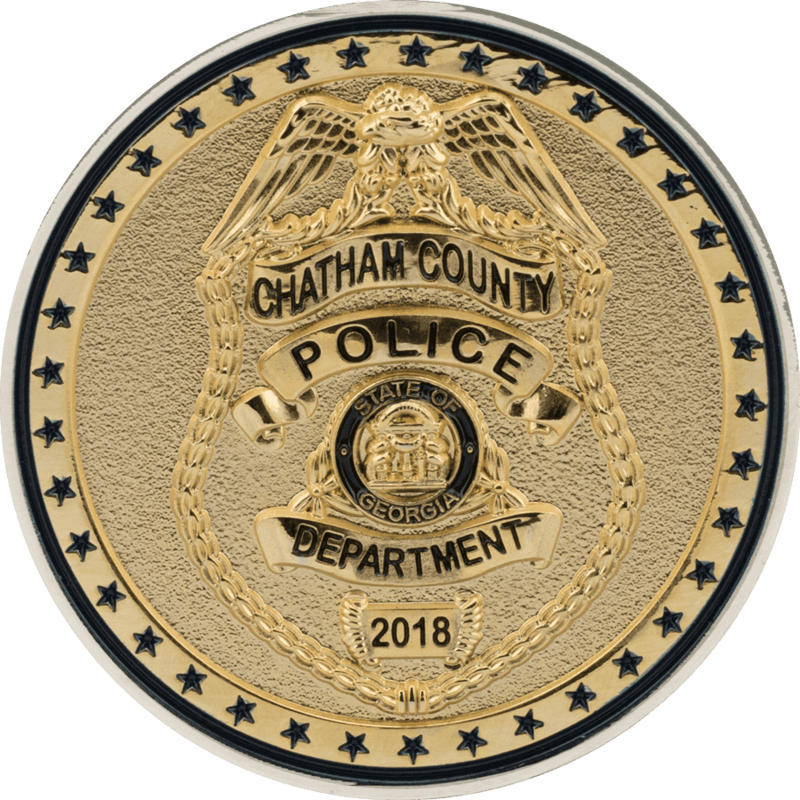 It’s our goal to make the process as easy as possible for any officer or department to order custom law enforcement challenge coins. We’ve been in the business for over 15 years and our number one priority is continuing the tradition of service and excellence. We ship via UPS Next Day Air at no charge to all continental US departments and agencies. Regardless of where the product is shipped, we stand behind our product completely and have a 100% quality guarantee. 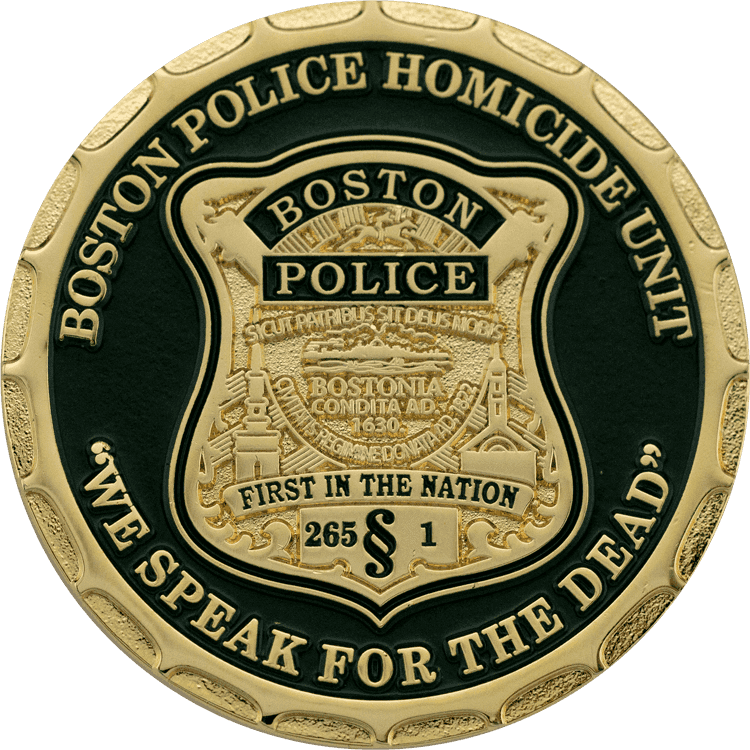 Why Create a Custom Law Enforcement Challenge Coin? Some chiefs and sheriffs give a department coin to every new recruit on their first day on the job as a symbolic gesture that the new probationary officer is part of the brotherhood. Other chiefs and sheriffs wait until the traditional one year probationary period is complete and award the coins then. 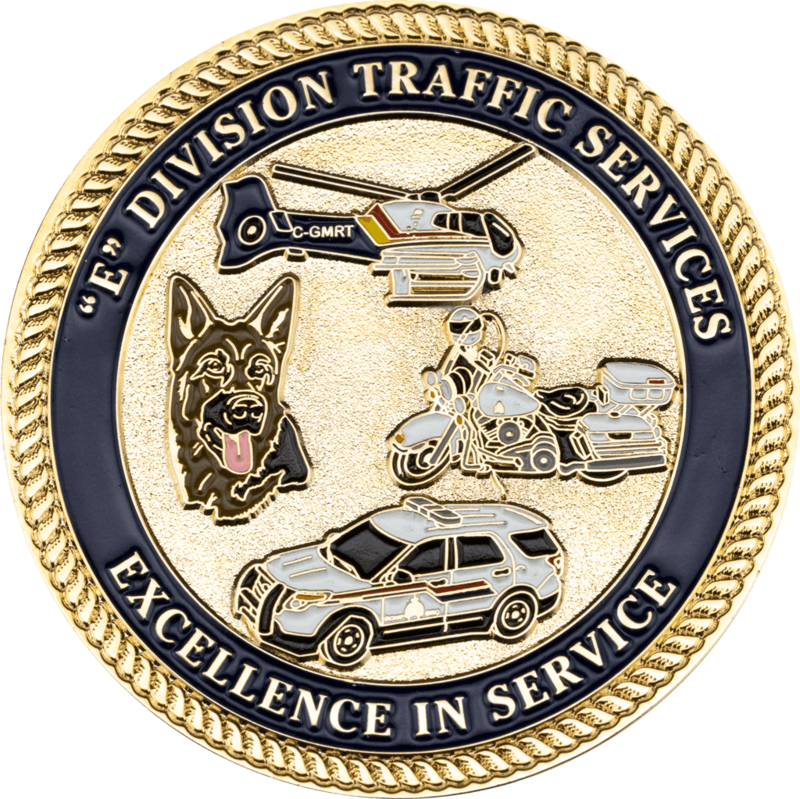 A frequent theme for a law enforcement challenge coin is one designed and awarded by a high ranking officer to subordinates for exceptional service and/or performance. 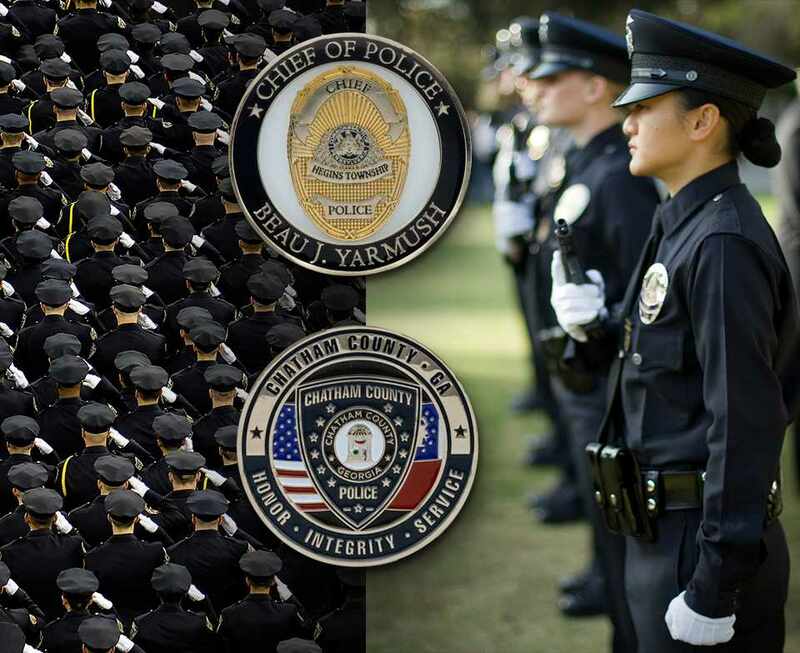 The most sought after coins in this vein are the ones directly from the police chief or sheriff. However, this type of coin is not left exclusively to the chiefs or sheriffs. Lower ranking officers in departments will commonly make their own challenge coins. These types of coins are very similar to their military counterparts, custom challenge coins for commanding officers. The name of the commanding officer, the department emblem, and the issuing officer specialties or certifications are all typically present. 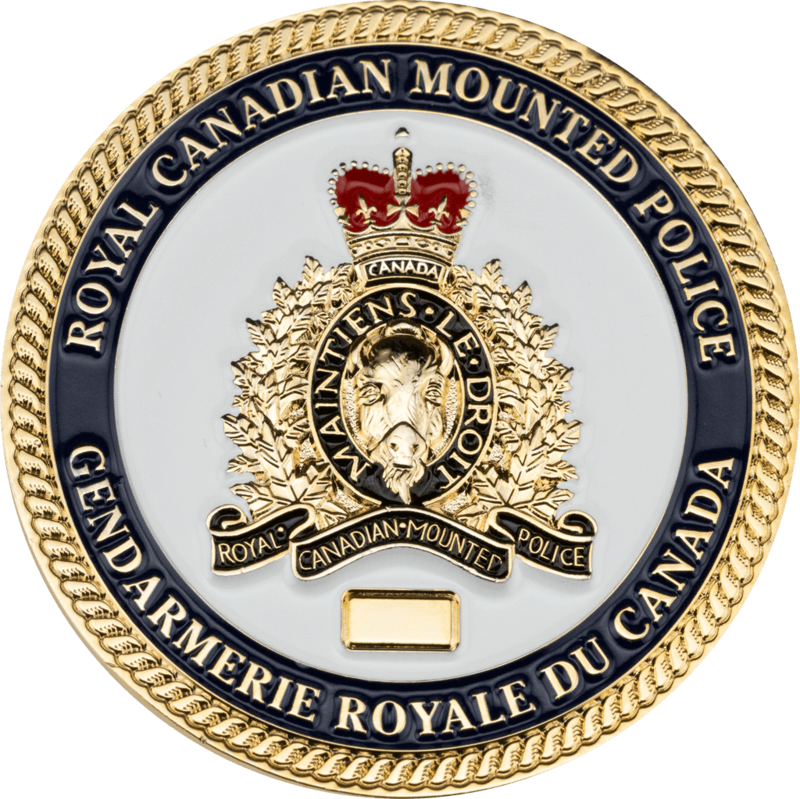 Since these custom challenge coins are designed by an individual instead of a committee, more elaborate icons or imagery, often with hidden meaning, is also very common. Also popular are coins that commemorate a particularly large bust or the success of a specific operation. 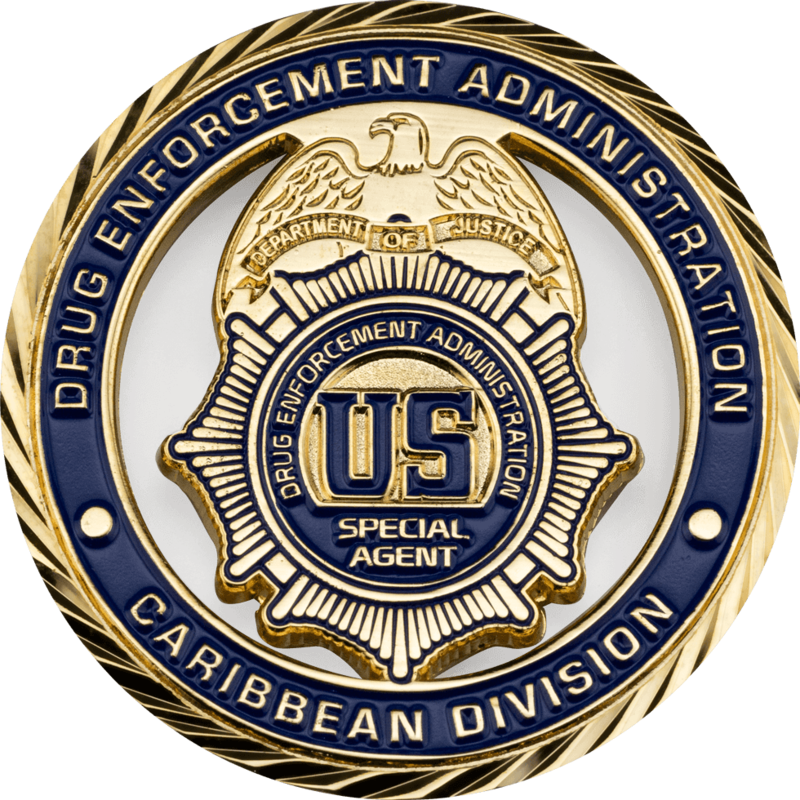 These will usually showcase the emblems of all of the different involved departments and agencies, the operation name, and either graphic representation of the contraband seized, caricatures of the captured felons, or a scene from the arrest or a chase. 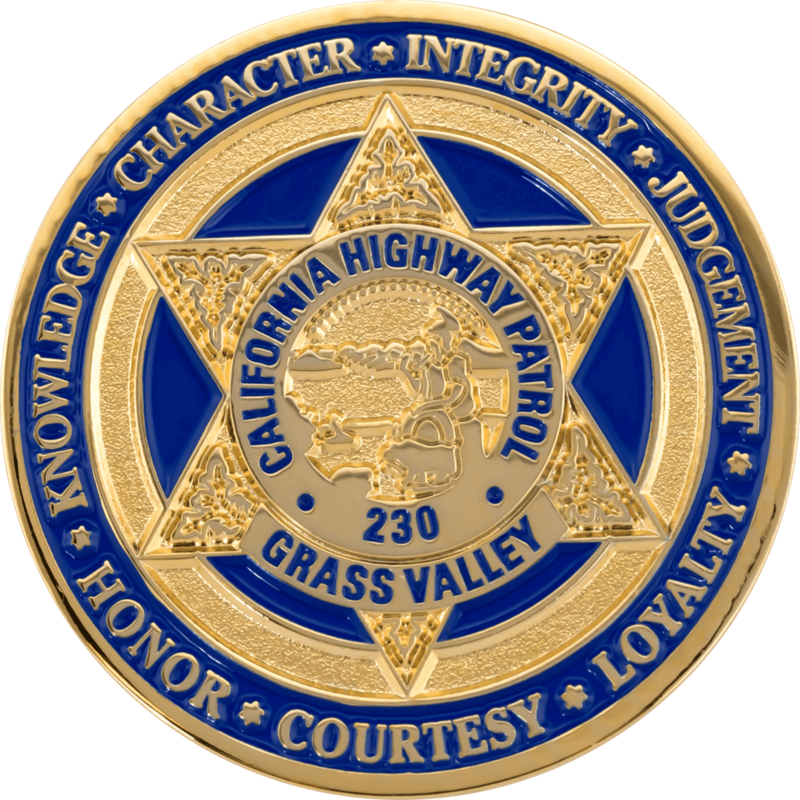 These are a simply a few reasons to create a custom law enforcement challenge coin. 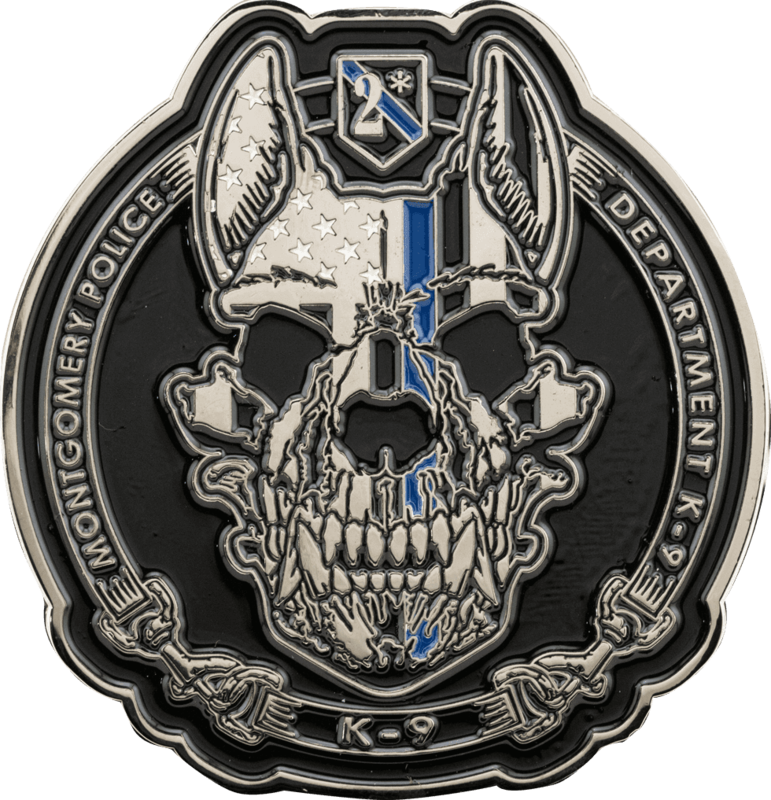 If you are looking for any type of challenge coin for your department, we encourage you to contact us with your ideas, and we will get started on your custom artwork today. No one likes speeding tickets, whether it’s getting them or writing them. Everyone likes speedy delivery of their orders though! We make the ordering process quick and painless from start to finish. There’s no need for finished artwork or a deposit to start the process. All we need is a general direction and the start of an idea, and our artists are off to the races. Any pictures of your department’s badge or emblem can help if you want them featured on the design, but we’ve started with as little as a whiteboard sketches, napkin drawings, or layouts drawn on the back of someone’s hand before. Once we receive this information, our artists will have an initial digital proof ready for you in 24-48 hours! This digital rendering shows you exactly what your finished coin will look like. As much as we like it when the first proof is the one that’s ordered, this is often just a starting point. 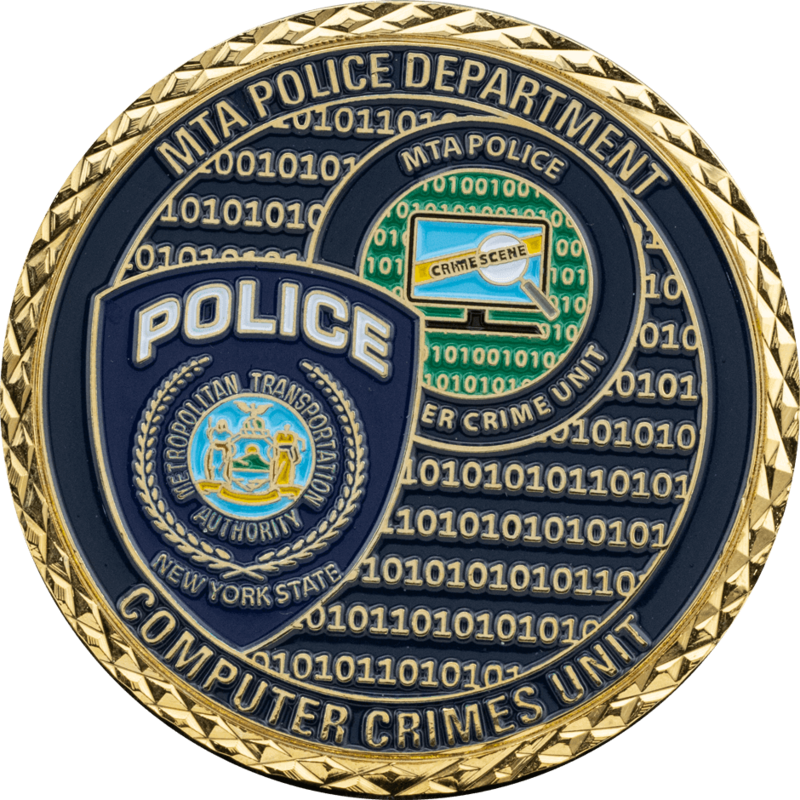 We offer unlimited revisions to your custom police challenge coin design until it’s perfect. 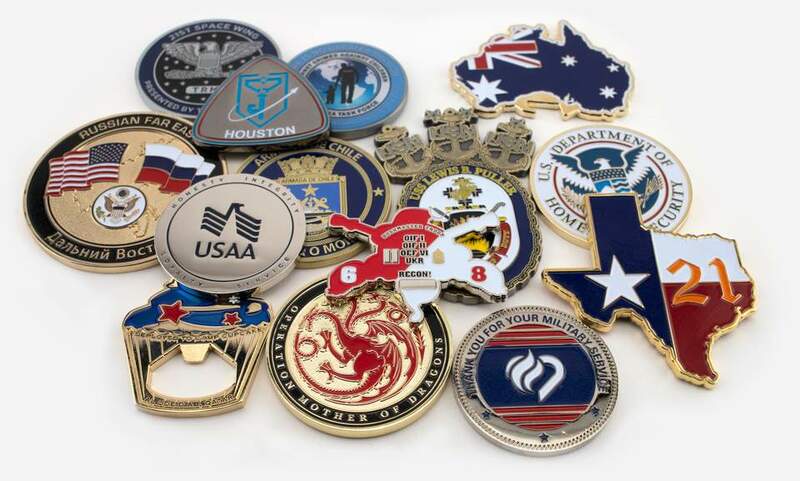 Give us the basic details of your challenge coin through our quote form, and we will give you a free digital color proof and price quote for your project within 24 to 48 hours. Review your color proof, spelling, and design for mistakes, and make unlimited revision requests until you are 100% satisfied. Finish the custom coin process by completing our online order form, then receive your challenge coins in 14 days or less, through Free UPS Priority Air Shipping. 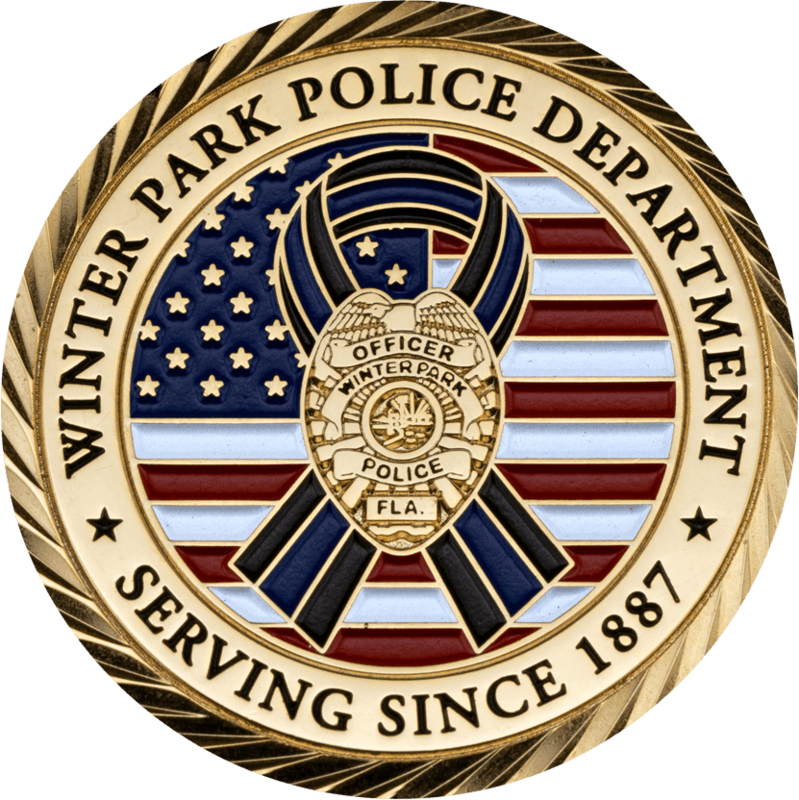 The most popular size for a custom police challenge coin is 2.00” in diameter. That said, we can make them as small as 1.50” and as large as 9.00”, though 3.00” is typically the largest reasonable diameter, approximately the diameter of a hockey puck. The size is just one of a literally infinite number of options. While some companies use stock coins or designs as starting points for all of the coins they make, we are a completely custom coin company. Every coin design is different and we’re able to customize the size, thickness, plating, edge, engraving, and face of both sides of the design. Don’t know exactly what you want? That’s perfectly alright. 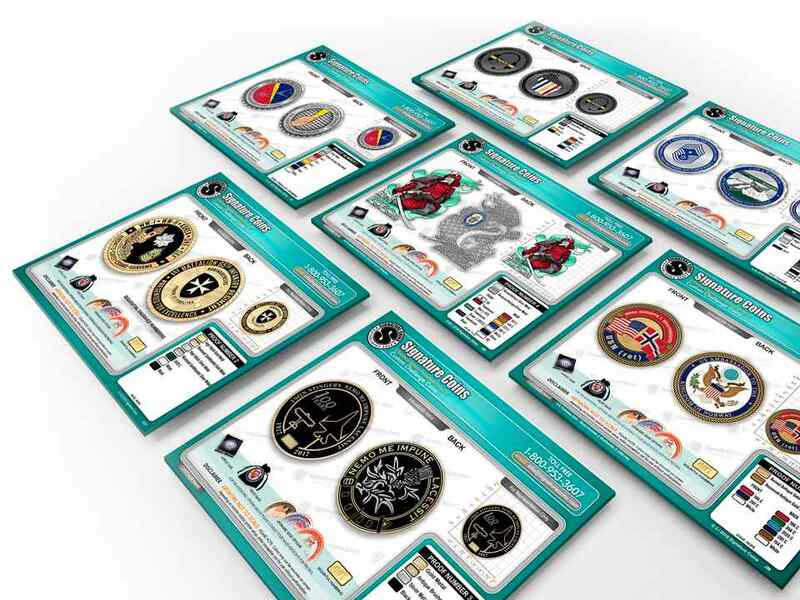 Our designers have experience designing thousands of challenge coins. We can give you a starting point and go from there. Sometimes seeing is believing. This is when two metal plating processes are used. The most popular option is when gold and silver platings are used on the same coin, especially when a department badge is featured. This can be used for a number of purposes and ensures that every coin is unique and can be tracked. Traditional sequential numbering (001-###) is very popular, but we can also individually number the coins with badge numbers or call signs. This is a subtle way for a design to incorporate a motto, a saying, an individual’s name, or an inside joke. Though all of our coins are stamped (die struck) coins, we’re also able to create design elements that come out of the face of the coin, which we call 3D molds. These paints allow some of the metal of the coin underneath to show through which creates visual depth and can also be combined with patterns and textures. When done on top of high polished sandblasting, this can create a subtle shimmery effect. These edges are machined onto the coin after the coin has been stamped. The brilliant and meticulous machining draws attention to the coin and focuses the eye on the center of the design. These are one color in the light and another in the dark. It can be incorporated as a simple addition of functionality or used to incorporate hidden meanings into the coin. Just as important as the coin is the presentation. Though tradition dictates the handshake transfer of a challenge coin, public events and ceremonies often call for a little less of a clandestine award. Some of our personal favorites are velvet boxes, coin stands for desks, and coin capsules, which allow full design visibility back and front, but still protect the coin. Packaging options can be mixed and matched as needed and all coins come with a FREE individual PVC Envelope to protect the coin in transit to you and in its daily travels. 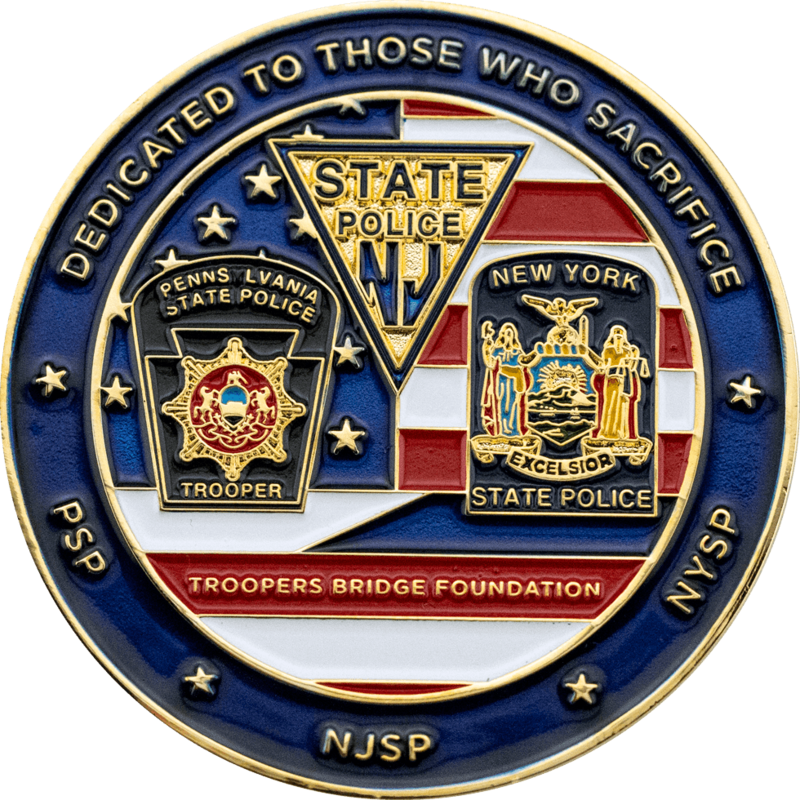 Signature Coins has been making law enforcement coins for police departments nationwide and internationally for more than 15 years. If your looking to create a new design or if you would prefer to recreate previous challenge coin design, our artists will work with you to craft amazing coins you and your unit can be proud of. 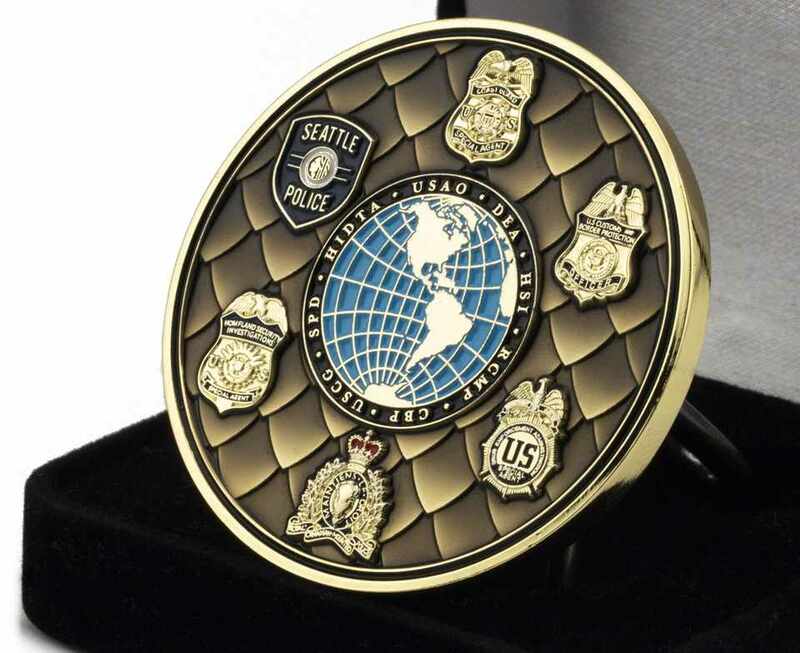 Selecting a company to create a challenge coin that will represent your department or agency is a huge deal. While some companies focus on getting your product to you as fast as possible, they often neglect to pay attention to the quality of artwork and finished product. Our challenge coins are carefully crafted, and are always approved by our customers before they are created. Plus, we offer unlimited revisions, so you are guaranteed to get everything you asked for. Once you have provided your final approval, we will finish your challenge coin and get it to you in 14 days or less. 4.8 stars, based on 827 reviews.